The ‘All About Eyes Guide’ contains information on how to apply eye make-up. This section is a work in progress so more articles will be added in the future. Click on the ‘Parts of the Eye’ tab to read more on the various places where you can apply eyeshadow. This article contains diagrams which you can use in conjunction with the looks on this site to see exactly where to place your colours. Click on the ‘All About Eyeshadow Brushes‘ tab to read information on eyeshadow brushes. This section currently contains information on different types of eyeshadow brushes, their various functions and products for washing your brushes. More articles will be added to this section in the future. Click on the ‘All About Eyeshadow‘ tab to read more on eyeshadow application. 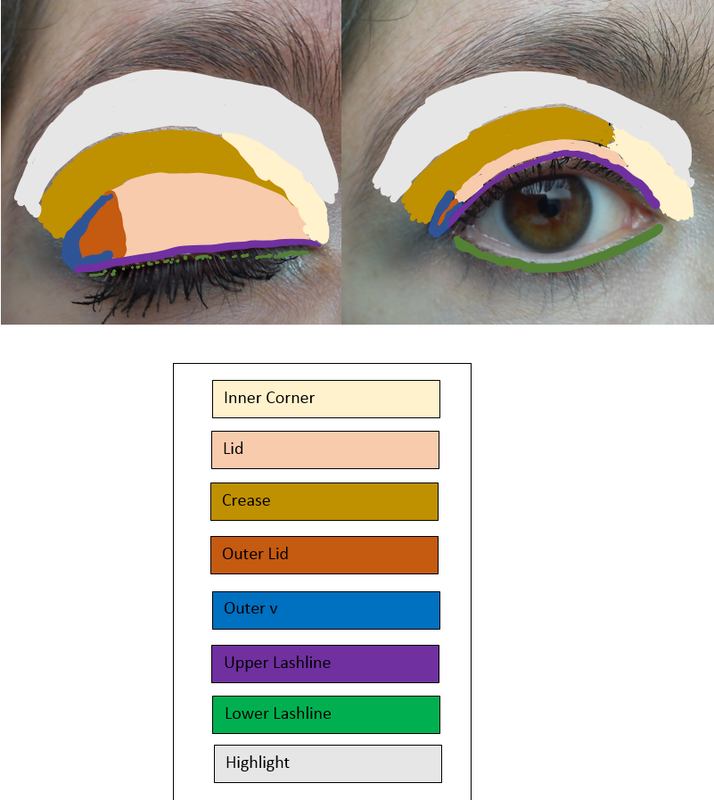 This section currently contains information on how to prepare the eye for eyeshadow, techniques and tips for applying eyeshadow, how to minimise fallout and eyeshadow styles. More articles will be added to this section in the future. The best article I have read about parts of the eyes and eye-shadow application. I could never before understand the parts of the eye the magazine articles referred to; your article makes it very easy to understand. Very well written article and illustrations. I’m really glad to hear that you found these articles helpful. It can be tricky to follow steps for creating looks if you don’t know about the different parts of the eye. I’m planning on adding more articles to this section in the future on eyeshadow application and brushes, so make sure to check back here again soon!